This youth tee fits like a well-loved favorite. 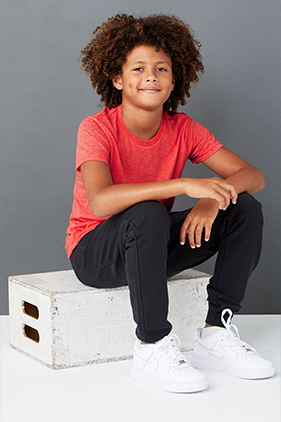 50% polyester/25% Airlume combed and ring-spun cotton/25% rayon, 40 single 3.8 ounce crew neck short sleeve youth triblend t-shirt. Sideseamed. Super-soft triblend fabrication. Retail fit. Unisex sizing. Tear-away label.